We all can remember getting certain gifts for Christmas we really wanted. One year I wanted a top of the line skateboard. It was the coolest thing, yet I rode it like a dozen times and it got stolen. I remember the excitement of getting my first gaming system, a Nintendo, and then my second Super Nintendo which I played very often until I sold them at garage sales after getting the next latest and greatest system. I remember my train set that my pop pop set up in their basement which I played with often until my grandparents’ house caught on fire and it was destroyed. I even remember getting a bb gun (because of the Christmas Story) and though I didn’t shoot my eye out, after playing with it for a few years, disappeared most likely thrown out after I moved out for the Airforce. So many gifts that gave happiness for a while, but are now just a memory. As Christmas approaches next week, what kind of gift can we give that won’t end up tossed to the side. 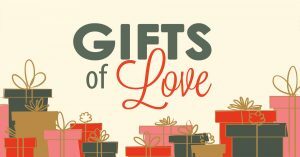 What gift can we share that will make this holiday stand out? What gift can we give that will keep on giving all year long? I think looking at what God did for us at Christmas can give us the answer. John 3:16 one of the most famous verses in the bible says, “16 For God so loved the world that he gave his one and only Son, that whoever believes in him shall not perish but have eternal life.” God knew we (man/woman) were in a bind, sin had marred His creation (to include us) and now He had to take action in order that we might have eternal life, we might have a relationship with Him again. Jesus came to show us love through grace (the unmerited favor). Christmas is that reminder how God’s love came down to Earth for us and because of this fact God has shown the greatest gift we can give, love. We give the gift of love when we first understand what true love is. In the world today it seems that love comes with strings attached. It seems that most people are only willing to show/give love when there is a reciprocal love returned. Many people put limits or restrictions on their love: ie if you do this, this and this, then I can love you back. God’s love came with a cost, not to us but to Him. His love is given sacrificially for us, which means we must give love in the same way, a sacrificing love for others. Easier said then done but God wants us to be willing to be stretched in our faith to give love to others freely even if those we show love to do return it or even worse show us contempt. Now that we have an idea about what type of love God wants us to give, how are we to go about showing/doing this type of love. Paul writes to the Corinthians, “4 Love is patient, love is kind. It does not envy, it does not boast, it is not proud. 5 It does not dishonor others, it is not self-seeking, it is not easily angered, it keeps no record of wrongs. 6 Love does not delight in evil but rejoices with the truth. 7 It always protects, always trusts, always hopes, always perseveres. 8 Love never fails.” 1 Corinthians 13:4-8 (NIV) Paul was writing to a church that was dealing with pride, sexual sin and inner church fighting to highlight a few issues. Paul clearly states how they should treat one another and helps us to see what a true Christ like love is to be like. A love devoid of selfish ambition. 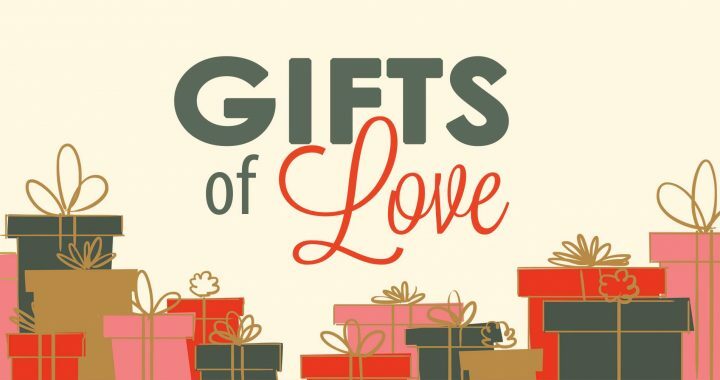 Where do we start when giving the gift of love? Often starting small helps. You can begin by being more patient, kind, gentle and not self-seeking in the relationships we are already in. Show those around you the love given to you in Christ. From there show that same love to people you come in contact with during the day like a cashier at a local store, a customer rep you may be calling with a problem, a co-worker and so on. Finally, as we master that, we move on with those who have hurt/wronged us, who mistreat us, those who call us enemies, and so on. We reach out with an unmerited love and forgive even when forgiveness may not have been asked for. Here we truly need to call on God and rely on His grace to help us to give this love to those that have wronged us. Love is truly a gift, especially when we love as Jesus loves us. This is a gift that brings joy, brings healing and brings restoration. It’s a costly one, but one that can’t be out given. This Christmas who can you share this much needed gift with. Pray for God to show you who you need to share more love with this year and beyond.